Libraries are an easy target for cost-cutting councils that like to think that everyone can afford to get online at home or buy a second-hand paperback from Amazon. But the reality is that libraries have a special place in people’s hearts, both here and around the world, and despite all the access to electronic information, they are still seen as vital public services. 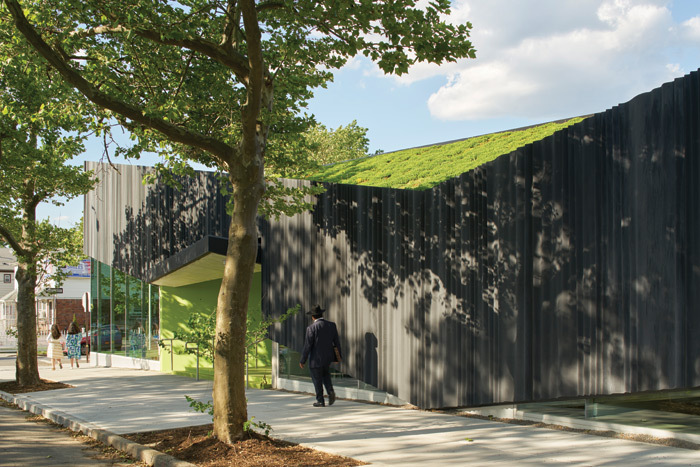 Dan Wood, principal at Work Architecture Company, has recently completed Kew Gardens Hills Library in Queens, New York – an area where library use is going up. There’s a popular fallacy that the only people darkening the doors of public libraries are the elderly and parents with small children. In fact, a huge study of library use across the UK, carried out by the Carnegie Trust UK, found that people between 15 and 24 are now the age group most likely to use libraries in England while, in Scotland, those aged between 24 and 34 are the most likely. Despite the fact that they have a smartphone in their pocket that can access the knowledge of the world, library use among millennials is actually growing, says the report. Hazel York is partner at Hawkins \ Brown, which has just won planning permission for a scheme to redevelop the Grade II-listed historic Plumstead Library in Greenwich with a new extension that includes leisure and coffee shop facilities. She believes that the general pressure on public services could actually help libraries to survive as councils try to integrate services: ‘We are able to design buildings that are space-efficient and cost-effective to run, and integrating libraries with other facilities like shopping centres, schools or housing schemes can help with this. Perhaps the public library stands to benefit from the constant pressure to consolidate council facilities? 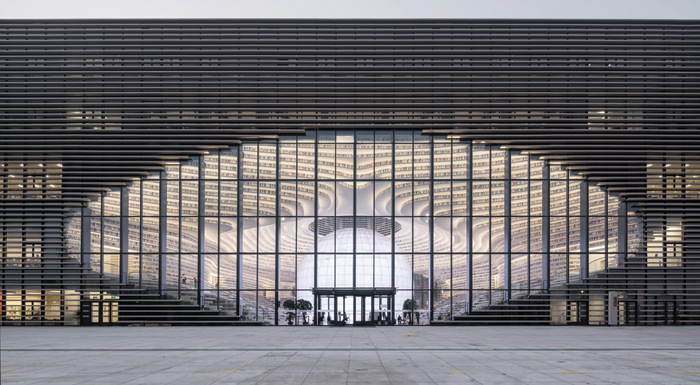 Around the world there is a trend for libraries to become part of something bigger – the stunning six-storey library in the coastal city of Tianjin in China, designed by Dutch architecture practice MVRDV, has an auditorium for concerts at its heart, along with reading rooms, lounge areas, offices and meeting spaces. 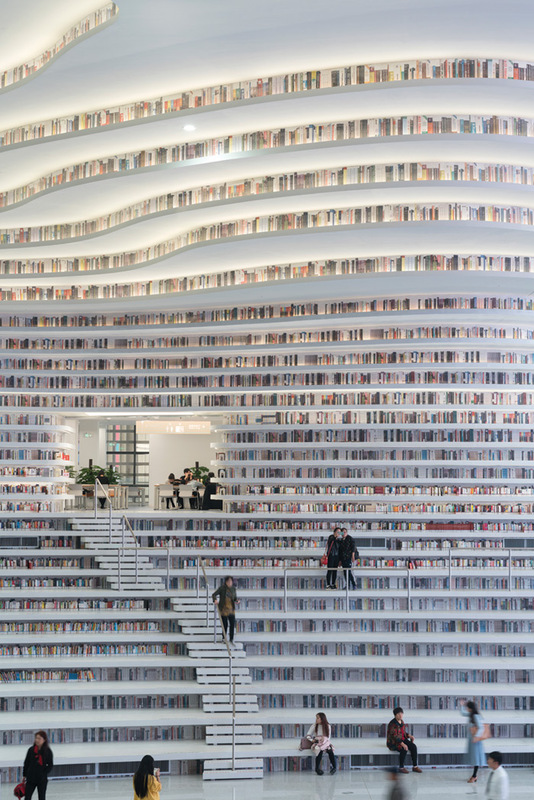 While younger Chinese people are avid readers of ebooks (a market that has grown 20 per cent there each year since 2012) the library is seeing 15,000 visitors each weekend, many drawn by the stunning atmosphere as much as by the 200,000 books (it will house 1.2 million volumes when fully stocked). 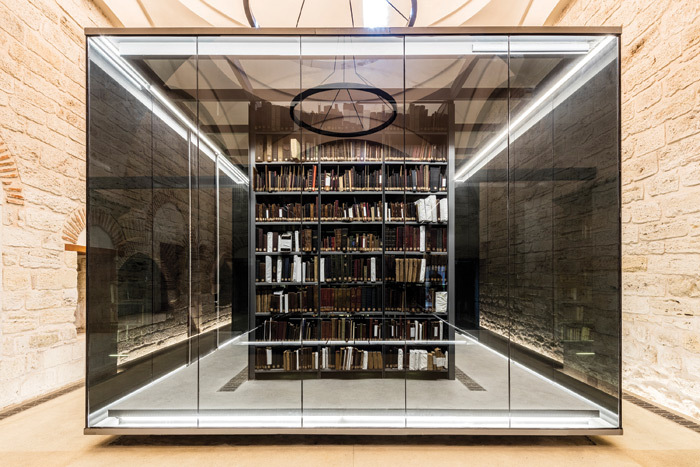 The huge King Fahad National Library in Riyadh, designed by Gerber Architekten, contains a gallery area, bookshop and restaurant, as does the stunning refurbishment of the Beyazit State Library in Istanbul by Tabanlioglu Architects. 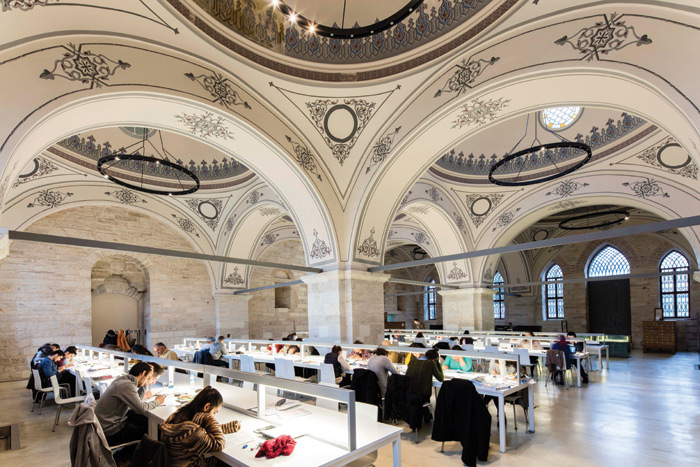 Greg Walker of Houser Walker Architecture, which recently designed the Palmetto Library in Atlanta, Georgia, notes: ‘We also see a great demand for flexible rooms, of different sizes, that can be utilised by groups in the community for events and meetings. 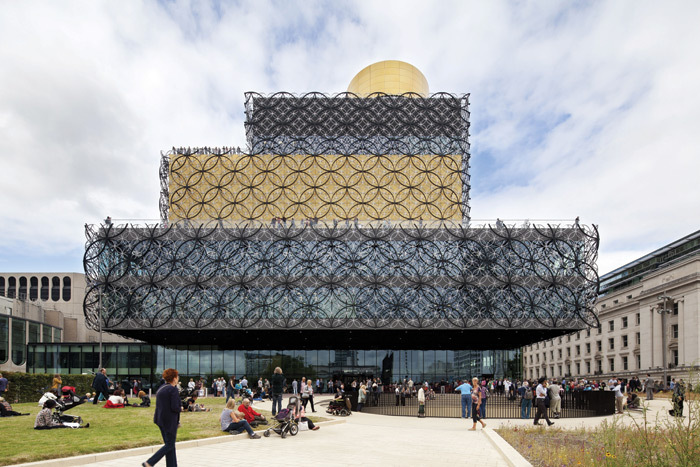 In many public libraries here in the Atlanta area, small-scale digital manufacturing – “fab labs” – are being installed into the public libraries.’ Francine Houben, founder of Dutch architecture practice Mecanoo, has worked on numerous libraries, including the Library of Birmingham, and has noticed a similar change in focus: ‘Libraries have changed significantly over the past generation. They are no longer the domain for solitary book study. Information and knowledge is no longer limited to the book, but shares its place with other mediums such as digital media. 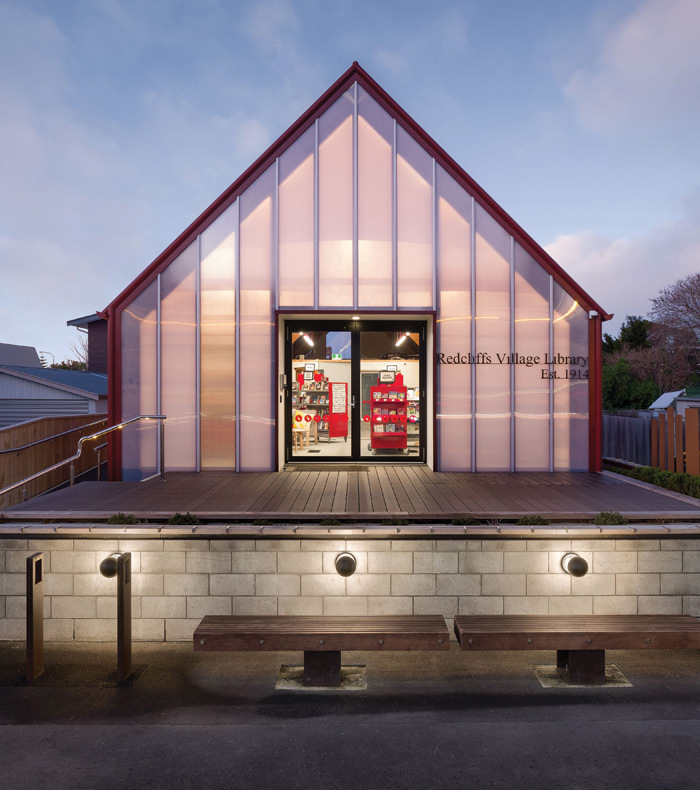 While libraries are still seen as the Cinderella of public works, they run the risk of being sidelined and underfunded – but architects can change all that, believes Greg Walker. 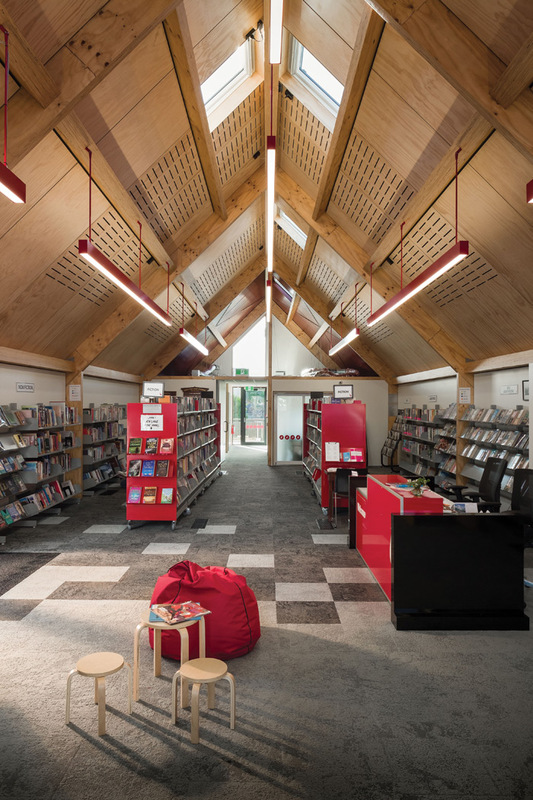 ‘We think great design – spaces that are inspiring to be in – are so desperately missing from our public lives that libraries have a unique opportunity to create memorable and vital experiences.